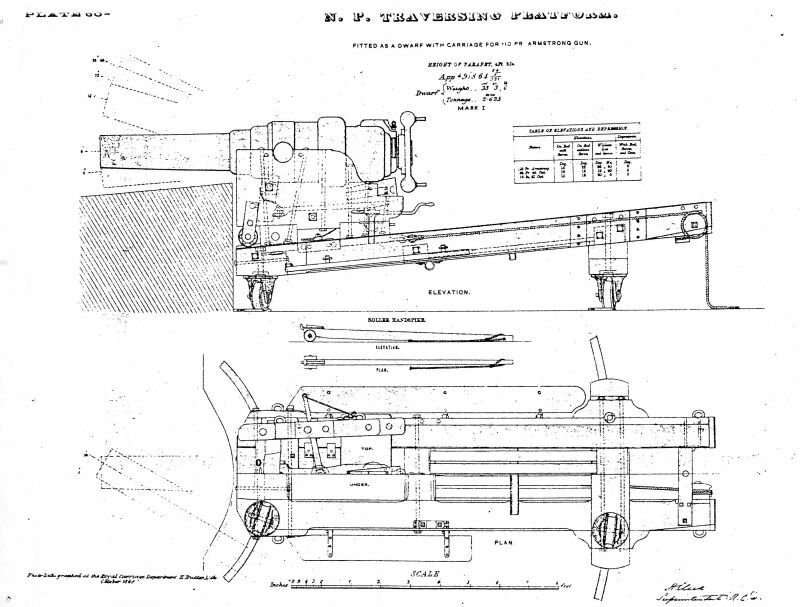 Six different natures of Armstrong gun were introduced into the service, the 7-inch, 40, 20, 12, 9 and 6-pounders. 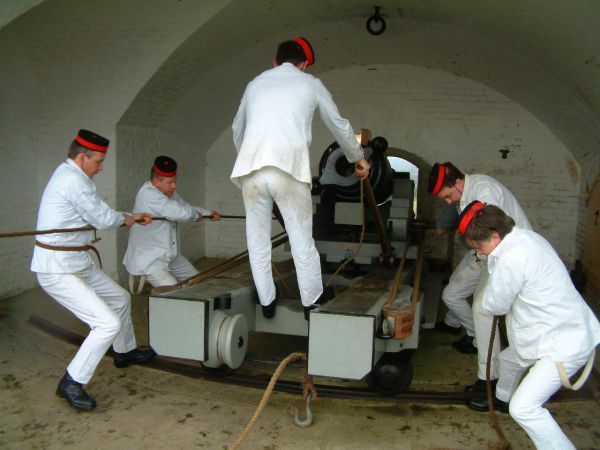 The first projectiles were of lead but these were then changed to iron coated with lead. 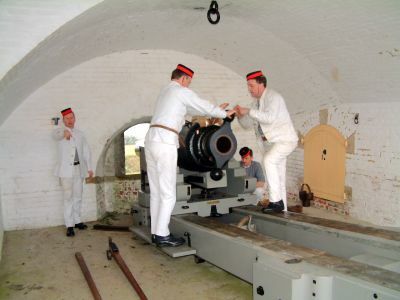 7 inch R.B.L. of 72 cwt. and 82 cwt. The 82 cwt. 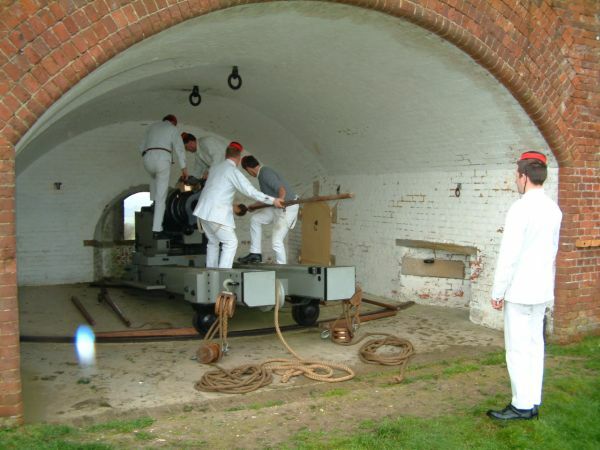 gun was first issued in 1861 as a 100 pounder sea service gun. 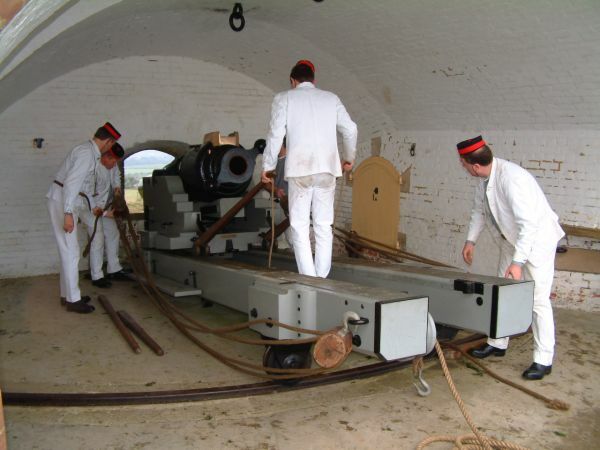 After February 1862 the weight of the shell was increased to 110 pounds and the gun was so designated the 110 pdr. 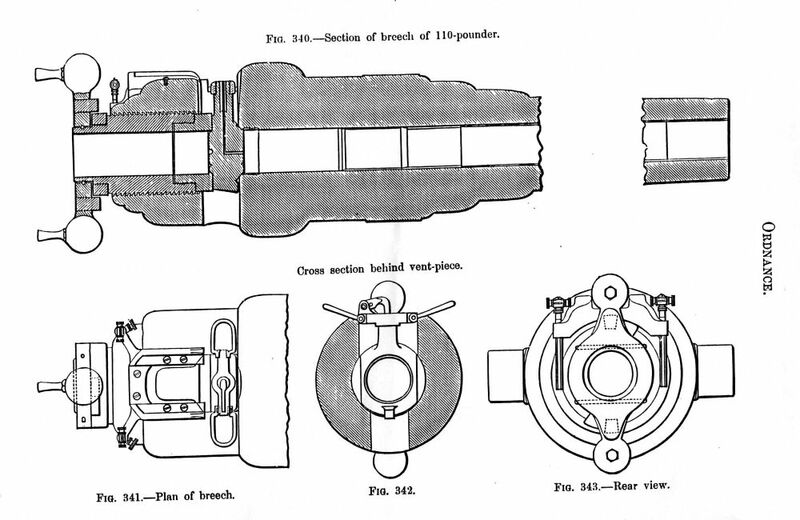 After 1864 it was finally known as the 7 inch R.B.L. 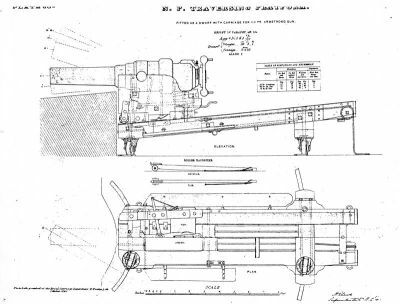 Length 120 inches (face of muzzle to rear of gun excluding breech screw), greatest diameter 27.7 inches, 76 grooves each .06 in deep and .166 in wide, with a twist of one turn in 37 calibres, 883 of these guns were manufactured. Mounted on Platform, Traversing, Medium, No. 14 with Carriage, Garrison, Sliding, Medium no. 15 for 2ft. 7-in parapet.